Private Collection, Providence, Rhode Island, USA. Signed "F. Derwent Wood 1904." Brough, a friend of Wood and John Singer Sargeant, was a young painter killed in a railroad accident. After his death, Sargeant finished his canvases to help his mistress and child financially. The Autumn 2011 Fine Art Society exhibition of Scottish portraitists included Brough's Fedalma (1897), a painting of a beautiful young woman with flowers in her hair. 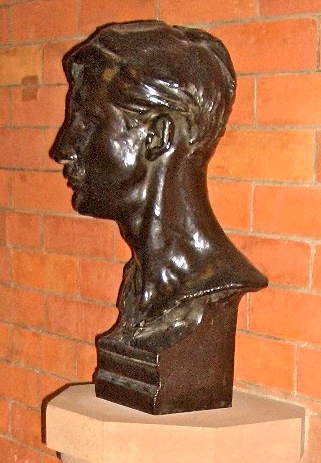 A photograph of the “sketch bust” accompanied “The Work of F. Derwent Wood” by W. K. West, which appeared in the 1905 Studio. West, W. K. “The Work of F. Derwent Wood.” Studio 33 (1905): 33-46.